ASTA - The War of Tears and Winds is a classic fantasy MMORPG with a variety of options for races, classes and characters, along with classic MMO features like PVP battlegrounds and guild battles, a broad crafting system, scenarios and quests with rich lore, a player-driven economy and rewarding dungeons. 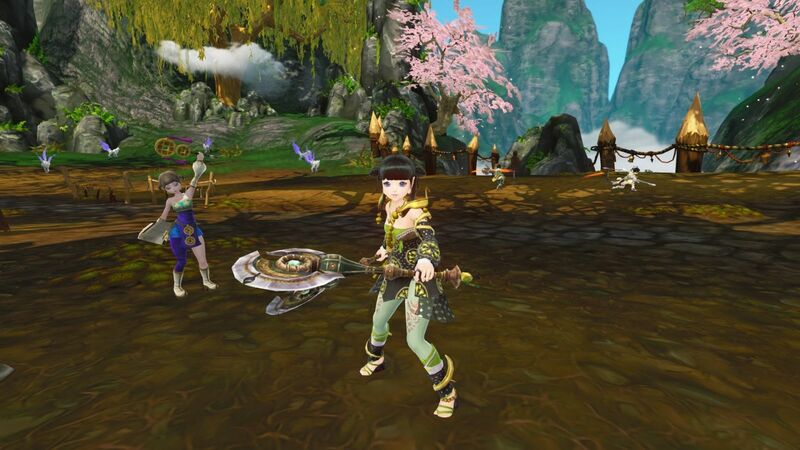 Webzen announces that the first major content expansion for its Asian fantasy MMORPG ASTA - The War of Tears and Winds will be available soon. Webzen is set to release the first content expansion, titled "Myth I: Wrath of the Berserkers", in the last week of May. The expansion will raise the level cap to 55. This increased level cap will be accompanied by new content, including a new area named "Wado", a new dungeon in the "Mountain of Trials", along with new quests and achievements. In Wado, players can encounter those from other factions like in the Muk Plateau, but in a larger area with more powerful monsters. The Mountain of Trials, a new dungeon located in the centre of Wado, will also be introduced. This dungeon is composed of 7 boss rooms where players can find their ideal challenge, whether it's a 1-player Easy dungeon, a Very Hard run with a few friends or a raid with 10 players. Pierre Vandenbroucke, Assistant Producer of ASTA at WEBZEN Dublin Ltd, commented: "We are absolutely delighted to be releasing the first major content expansion for ASTA, and are looking forward to seeing players explore Myth I: Wrath of the Berserkers." He continues: "We are currently working on a patch to incorporate more features and challenges into ASTA, and we will soon be revealing full details on this patch to encourage players to check out what's new in Myth I: Wrath of the Berserkers." More information about the game and the upcoming expansion will be available on ASTA's official website.